Patrick de Guillebon pointed us to the following. 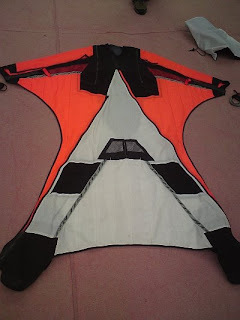 FlyYourBody announced two new wingsuits on the French forum today. Click here for a google translation of the French forum. A third (big flocking) new wingsuit model is also mentioned in the thread, but is not announced for official release yet. The new entry level wingsuit. 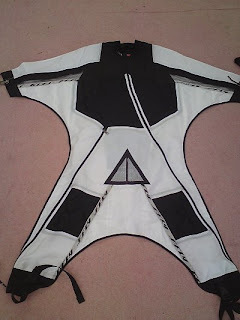 Small wings, quick-release zippers (for emergency access to toggles/risers) and easy reach for pilotchute mnake this a nice suit for beginners. In terms of performance, should probably be rated in between the Access and S-Fly Expert models. In terms of performance, rated in between the S-Fly Expert and S-Fly-Pro. Suitable for flocking, and all purpoise flying. No info about back inflation etc.